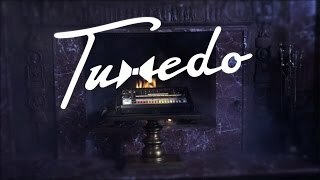 So says legendary West Coast player Snoop Dogg on the opening track of Tuxedo II. The blessing of the Doggfather is of special importance to Mayer Hawthorne and Jake One, whose second album as a duo finds them at the forefront of a new wave of gangster boogie - one that owes as much to G-funk as P-funk. This is the territory of pre- and post-hydraulic low riders: a mélange of Cali boom-bap, analog synth bass and elegant disco that resonates truth and authenticity in an era where so many are faking the funk. 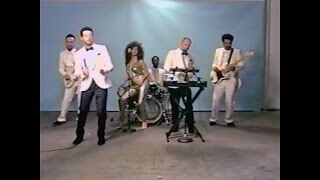 Bonding over a shared love of Chic, Parliament, and the other signs in the greater funk Zodiac, Mayer Hawthorne (Aquarius) and Jake One (Taurus) were early predictors of the sea changes that American music would undergo in 2016. Their first release in March of 2015 debuted at #1 on iTunes America's RnB charts, christened as “Dance Floor Catnip” by the Boston Globe, and “Pure disco-funk hot fire” by Okayplayer. 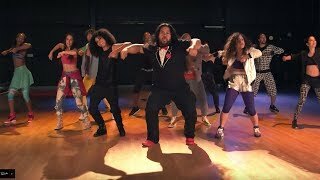 Considering their individual successes (Mayer's four solo albums, Jake's production work for the likes of Drake, Future, The Weeknd, and De La Soul) and five GRAMMY nominations between the two of them, it's no surprise that their powers combined have yet again yielded a bevy of absolute slappers that are packaged perfectly for dance parties in 2018. The material here, while wholly original, is an exercise in honoring its forebears. 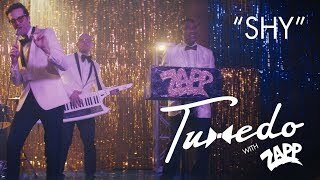 Tuxedo’s II recalls the future-funk wobble of Zapp, Gap, Jam/Lewis and Junie Morrison, while nodding lyrically to Mtume, Jodeci and Cameo. The crystallization of the album's concept comes courtesy of its message of universal love; thanks to the signature combination of soul and pop sensibility that have come to define Mayer's hooks. "You gotta do what you love..." says Mayer in a recent interview with Nordstrom's style blog, one of the many fashion outlets to cover Tuxedo's rise. After all - the transcendental ritual of the party and the rippling self-affirmation of the funk are of one spirit: the spirit of self-love...of self-expression. Tuxedo II is a modern testament to unity and positivity in trying times. It is a reminder that the dance floor will always be there to welcome you, whoever you are.